DEMAND for imported barley is rising faster than production, according to the International Grains Council (IGC) November crop report released last week. Some very low EU barley yields last summer cut 2018/19 world barley production to 140 million tonnes (Mt), compared with the average of the five previous years of 146Mt. IGC has predicted demand by users in China and Saudi Arabia, the world’s major barley importers, will hold strong. Latest data shows China’s usage over 10 years (chart 2). Feed use in 2018/19 would be at its second-highest level (5.2Mt) and industrial use at 4.7Mt would be around 500,000t greater than its five-year average. 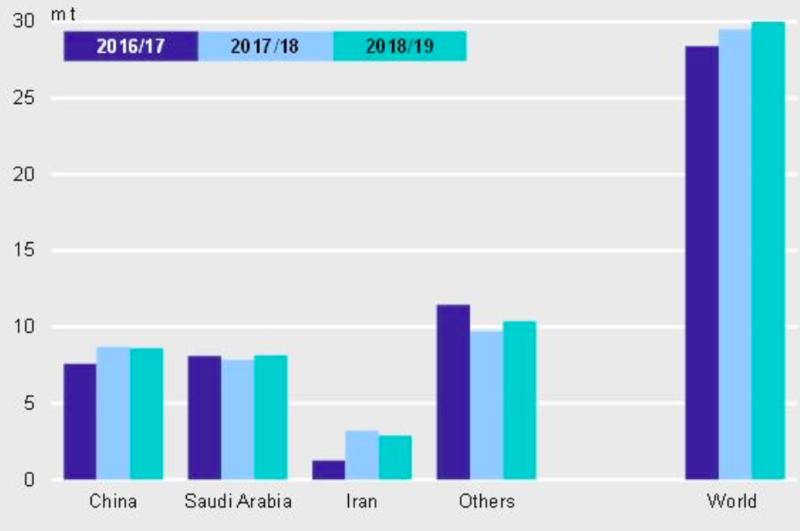 Feed barley usage in Saudi Arabia in 2018/19 is projected to be 7.9Mt, around 1Mt less than the five-year average (table 3). Worldwide wheat production is forecast at 729Mt in 2018/19, down from 767Mt in 2017/18. Production by the major exporters is forecast at 363Mt, down from 395 Mt last year. 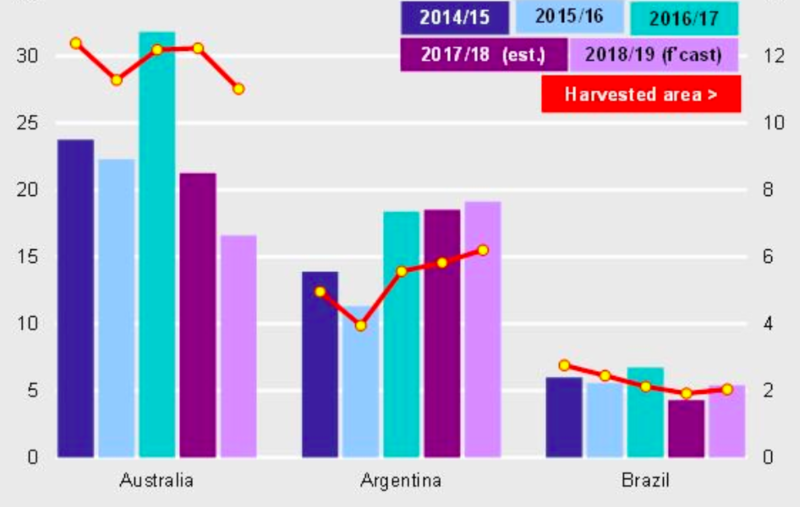 A potential export boost of 6Mt from the US, 2Mt from Canada and 1Mt from Argentina is expected, and Argentina, for the first time in many years, is forecast to export more wheat than Australia, where drought has decimated export prospects for its eastern states (chart 4). Harvesting of Argentina’s large crop has begun amid heavy rains, raising speculation about possible quality downgrades.